An article that I read recently emphasized how long and how unsuccessfully women physicians have been struggling to improve their working conditions to the point where they might be able to find some time with families along the road to career success. It is over 40 years since I was a fresh-faced seventeen year old starting medical school and it can be disheartening at times to realize how little real progress has been made. Articles like Krause et al’s Impact of Pregnancy and Gender on Internal Medicine Resident Evaluations: A Retrospective Cohort Study make this all too clear. The sophistication of the study techniques adds credibility to women physicians’ and learners’ own reported experiences but, at some level, I think it’s unfortunate that years of reporting have never been enough to force change upon our hospitals and our medical schools. My consideration of this study, which examined the evaluation of internal medicine residents after their own pregnancy or a partner’s pregnancy, led me to ask how (or whether) Canada’s medical educational colleges, the Royal College of Physicians and Surgeons of Canada or the College of Family Physicians of Canada, ensure that there is no gender-based discrimination in their own evaluation of trainees. Neither College makes a statement that the organization is aware that there is gender discrimination in medicine, although this is no different from other professional credentialing bodies whose websites I examined. I also reviewed the website of the Association of Faculties of Medicine of Canada (AFMC). The AFMC does have an award, the May Cohen Award, for “outstanding effort or achievement in improving the gender equity environment in academic medicine in Canada.” However, there is nothing to indicate any work they are doing to ensure that there is no gender discrimination in the evaluation of trainees. 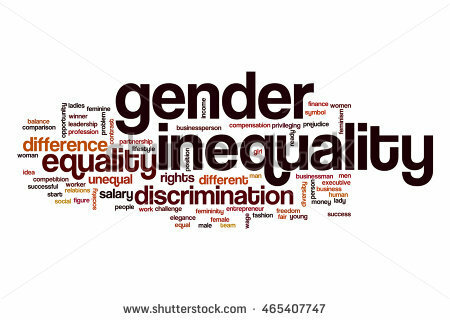 Most faculties of medicine in Canada do now have a person of reasonably high rank within a medical school tasked with addressing this gender-based discrimination and this is important to all women faculty, and even many men. I am beginning to think, however, that the problem is not bad intentions but rather implementing measures that have been proven to improve gender balance and reduce gender discrimination, and then tracking progress. What could one do? Well, for one thing, both educational colleges could begin by recognizing that family life can really mess up a schedule. Both colleges have extensive details on how it manages accommodations for those candidates with special needs, but neither one makes any mention of whether family needs, e.g. the due date of your child’s birth coincides with the date of your examination, can be accommodated. At least half of medical graduates in the country would be significantly affected by this situation and the other half will likely also consider their child’s birth as the event they must attend. This 2003 study on gender differences in academic advancement did offer some insight into the background of gender discrimination in medicine. The study also indicated some of the differences between the concrete treatment of men and women faculty that could be mitigated if departments and faculties of medicine undertook to implement change. For example, from the study in question, women faculty were routinely paid less – they could be paid the same. Women faculty more often shared lab space – everyone could have their own lab space. Leadership positions were more often offered to men – departments could make a concerted effort to find leadership positions for capable women. These are all results that could be tracked for improved performance, and evidence of improved performance would certainly be welcomed and noticed by women. Also, while many medical faculties are working on these issues, it is evident from the article mentioned at the outset that there is still a long way to go. But what could the educational colleges do about these issues? They could, in my view, acknowledge that they are aware of the gender discrimination that occurs in medicine. They could evaluate their own examination practices to ensure that the gender bias in these has been eliminated. They could emphasize to the Faculties of Medicine training their members that every candidate ought to have an equal opportunity to train and accredit programs accordingly. If they have taken any of these measures already, as a member and physician, I wish I could find that information on their website. As someone who has spent over forty years working for gender equity in medicine, it would be reassuring to know that my efforts, and those of my colleagues, have not been for nothing. ← Youth and Cannabis: Does Legalization Set Them Up?